When you hire a person in your company, you must not only interview the person about their skill set, experience, and level of commitment but also take note of their background. Their background is necessary not only in terms of their job experience but also about their personal life or how they are as a person. Ignoring this aspect has led many companies to various kinds of troubles which they regret even now. 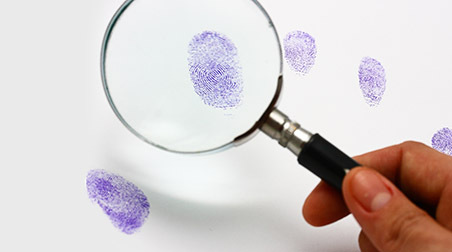 We, at Michael McKeever, a private investigation service, are completely aware of the importance of undertaking such verification’s, and therefore we provide you with a reliable and discrete employment background checks along with other services like missing persons, litigation defense, surveillance, insurance cases, photo and video evidence, domestic investigations, computer forensics etc. Are you yet to be convinced about undertaking such a measure for your prospective employees? Then, here are a few reasons that may convince you to think otherwise. Take a look. First of all, primarily, most employers run such a check to reckon any criminal convictions in the past record of the prospective employee. Such criminal records might indicate that the person in question is not trustworthy, notorious, and even dangerous. Sometimes, it can also be too minor that the employer lets it pass. But, in either case, the employer has the right to this information and then it is his or her discretion whether they will employ the person or not. Background checks also throw light on issues like credit histories with overloading debts, driving records like license suspensions etc. In such a scenario, the employer has to note that whether this person can be entrusted with a job role involving handling lump sum amount of money or make sure that the person can be given the job of driving from one point to another. So, these checks directly impact the person’s ability to do the job perfectly and hence, must not be neglected. These were 2 most important reasons why you should undertake these checks. So, if you live in areas like Manhattan, New York, NY, or NYC, then get in touch with us immediately. © 2019 Michael McKeever – Private Investigator, All Rights Reserved.